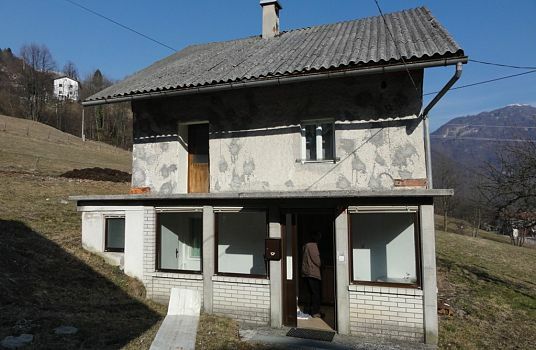 10 apartment property with a restaurant and an additional outbuilding. External size of 2000 estimated. 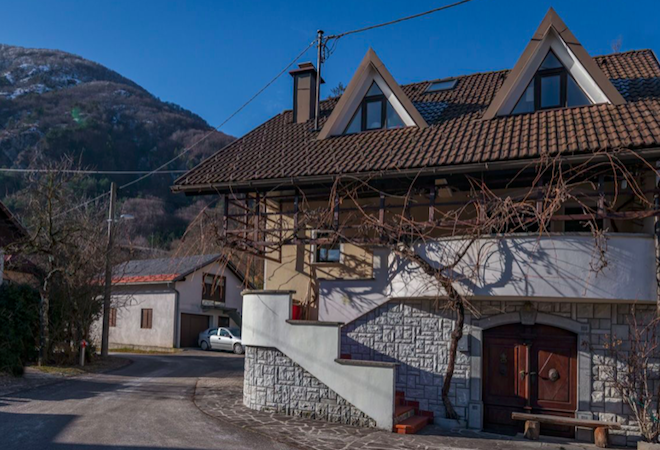 Excellently located and spacious 10 apartment complex with restaurant and outbuilding in the peaceful and beautiful village of Čezsoča. 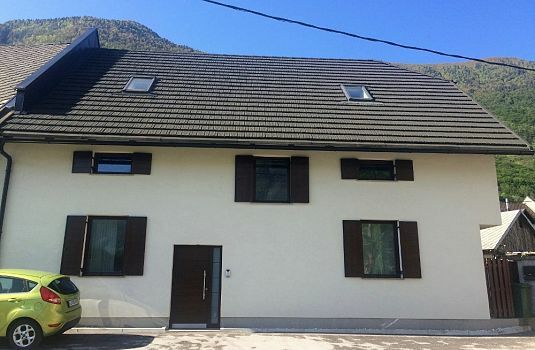 Located just a few metres from the stunning river Soča, 3km from Bovec, at the start point of a number of well known walks and in very close proximity to a kayak start point and major kayaking centre, the location offers excellent tourism potential. 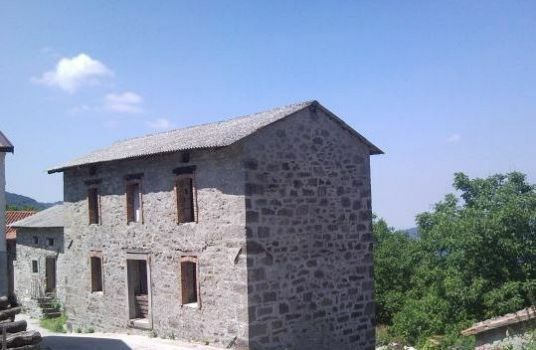 The property spreads over three floors and offers 10 apartments with a restaurant with bar with a large terrace enjoying lovely mountain views. Two of the apartments have been recently refurbished and offer comfortable, quality, holiday rental accommodation in a superb location. 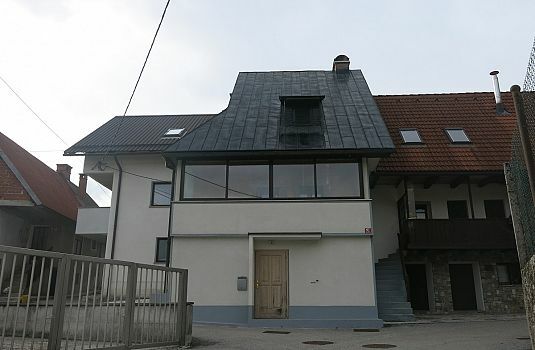 They are adjacent to one another and each offer spacious, well presented 2 bedroom split level accommodation each with an open plan living room / kitchen / dining room with access onto a balcony with lovely open mountain views, bathroom, twin bedroom and upstairs a triple bedroom. 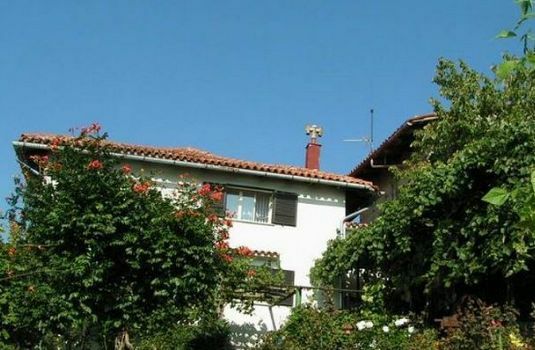 The rest of the apartments are a range of 1 and 2 bedroom capacity and require renovation (currently offer a basic standard standard of hostel type accommodation). There is an additional outbuilding on the plot that also needs renovations but could be a useful addition to the property. There is a large parking space in front of the building/restaurant and the house is surrounded by a small garden with mature trees to the rear. A wide range of beautiful walking and cycling routes are possible from the doorstep of the property and a huge range of other routes and other mountain pursuits in close proximity including skiing at Kanin. River activities are also very close at hand with a kayaking centre a few seconds away and a number of local river beaches in easy walking distance. The building (exc restaurant) is currently rented as a whole for the summer months to a kayaking tour operator. An excellently priced property requiring a relatively modest additional renovation investment to make a very interesting tourist rental / hospitality business. NB: Pictures show renovated apartments.